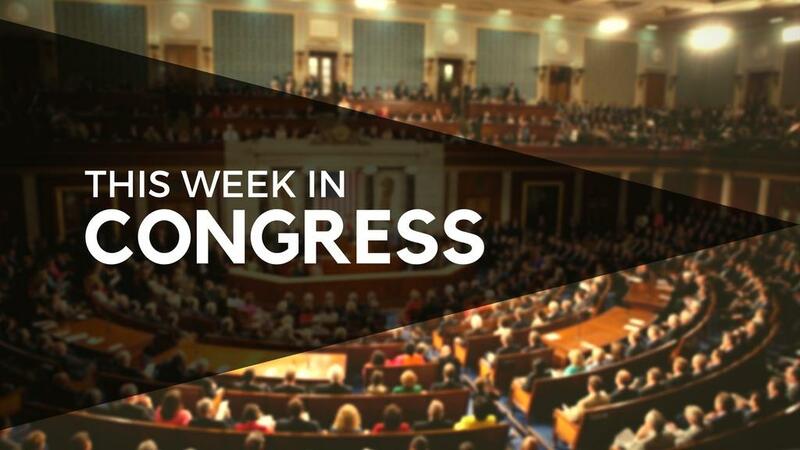 How do you feel about this week's congressional agenda? Lawmakers will return to the Capitol on Tuesday with Middle East policy on the agenda and lingering uncertainty in the air about when President Donald Trump and congressional Democrats will reach a deal to end the ongoing partial government shutdown. Tuesday evening the Senate will hold a procedural vote on a bill addressing several aspects of U.S. foreign policy in the Middle East. It’d increase sanctions on the Assad regime in Syria, strengthen America’s security alliances with Israel and Jordan, and aim to counteract the anti-Israel boycott, divestment, and sanctions (BDS) movement. Votes to limit debate on the bill and its final passage would likely occur later in the week. The House on Tuesday will take up bills extending homeland security programs that aim to prevent pandemics and breaches of hazardous chemical facilities by terrorists. On Wednesday, reps will vote on the final portion of the House rules package that allows the chamber to intervene in Obamacare-related lawsuits and several bipartisan small business bills. Later in the week, there will be votes on bipartisan bills to sanction the Assad regime, increase workplace protections for federal workers & interns, strengthen anti-terrorism efforts in Africa, and require all American flags bought by the federal government to be made in the U.S.
Before the work week concludes, the House is expected to take up four of the appropriations bills that it passed last week as a six-bill, $271 billion “minibus” funding package as standalone bills, including: Finacial Services & General Gov’t; Transportation, Housing and Urban Development; Agriculture; and Interior & Environment. Cloture motion on the motion to proceed to S. 1: Strengthening America’s Security in the Middle East Act Not agreed to 56-44. Cloture motion on the motion to proceed to S. 1: Strengthening America’s Security in the Middle East Act Not agreed to 53-43. S. 24: Government Employee Fair Treatment Act of 2019 Passed by voice vote. H.R. 269: Pandemic and All-Hazards Preparedness and Advancing Innovation Act of 2019 (Original summary) Passed 401-17. H.R. 251: Chemical Facility Anti-Terrorism Standards Program Extension Act Passed 414-3. H.R. 259: Medicaid Extenders Act of 2019 (Original summary) Passed by voice vote. H.R. 226: Clarity on Small Business Participation in Category Management Vote postponed. H.R. 227: Incentivizing Fairness in Subcontracting Act Passed by voice vote. H.R. 128: Small Business Advocacy Improvements Act Passed by voice vote. H.R. 264: Financial Services and General Government Appropriations Act, 2019 Passed 240-188. H.Res. 6: House Rules Package for the 116th Congress (Title III) Adopted 235-192. H.R. 226: Clarity on Small Business Participation in Category Management Passed 414-11. H.R. 265: Transportation, Housing and Urban Development, and Related Agencies Appropriations Act, 2019 Passed 243-183. H.R. 267: Agriculture, Rural Development, Food and Drug Administration, and Related Agencies Appropriations Act, 2019 Passed 244-180. H.R. 31: Caesar Syria Civilian Protection Act of 2019 Vote postponed. H.R. 133: United States-Mexico Economic Partnership Act Passed by voice vote. H.R. 192: Trans-Sahara Counter-terrorism Partnership Act Passed by voice vote. H.R. 221: Special Envoy to Monitor and Combat Anti-Semitism Act Vote postponed. H.R. 115: Protecting Diplomats from Surveillance Through Consumer Devices Act Passed by voice vote. H.R. 266: Department of the Interior, Environment, and Related Agencies Appropriations Act, 2019 Passed 240-179. S. 24: Government Employee Fair Treatment Act of 2019 Passed 414-7. H.R. 221: Special Envoy to Monitor and Combat Anti-Semitism Act Passed 411-1. H.R. 113: All-American Flag Act Vote postponed. H.R. 150: GREAT Act Vote postponed. H.R. 135: Federal Employee Anti-Discrimination Act Vote postponed. H.R. 136: Federal Intern Protection Act Vote postponed. H.R. 116: Investing in Main Street Act Vote postponed. H.R. 206: Encouraging Small Business Innovators Act Vote postponed. H.R. 246: Stimulating Innovation through Procurement Act Vote postponed. H.R. 190: Expanding Contract Opportunities for Small Businesses Act Vote postponed. H.R. 202: Inspector General Access Act Vote postponed. H.R. 247: Federal CIO Authorization Act Vote postponed.